Giant Fiberglass Grouper Fish made of fiberglass. Durable and hand painted - call us for the colors you would like. 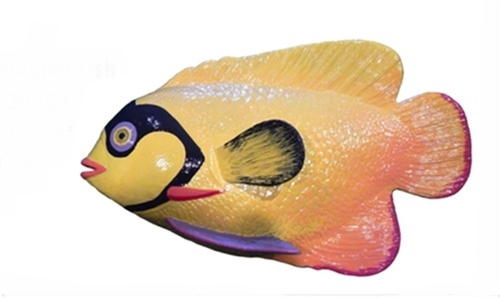 We can add a hanger or pole for displaying this fish. Indoor/Outdoor use. Proudly made in the USA. Each one is made per customers order. Allow 4 to 6 weeks manufacturing time. Call us for shipping rates anywhere in the world. Each fish ships in a wooden crate.